We are committed to Christ-centred change, enabled by the Spirit, through the ministry of the Word, in the local church. While our vision includes the ambition to work toward a network of trained and experienced biblical counsellors involved with local churches, we know this is still a long way off. Such a network doesn’t currently exist and so we regret that we aren’t able to offer advice on personal problems or to provide recommendations of biblical counsellors. Even so, there are other places we can turn and so we have put together some guidance which may be of help. 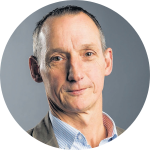 Steve Midgley is the Executive Director of Biblical Counselling UK. 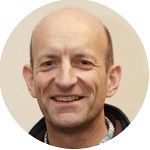 Steve teaches courses in biblical counselling at Oak Hill College and is the director of the Certificate Course provided by Biblical Counselling UK in association with CCEF and supported by Oak Hill. He is a board member of CCEF and on the council of the Biblical Counseling Coalition. He is senior minister of Christ Church, Cambridge and trained as a psychiatrist before being ordained. Ste Casey is currently serving as a pastor at Speke Baptist Church, Liverpool, which is seeking to reach out to the large council estate where they live. Ste has been studying counselling with CCEF since 2008, and has served as a pastoral intern with CCEF in Philadelphia, PA. Ste leads the Certificate Course in Liverpool. 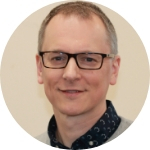 Andrew Collins is an elder at Killicomaine Evangelical Church, Portadown, Northern Ireland and works part-time as a consultant psychiatrist in Psychiatric Intensive Care and part-time in biblical counselling. Andrew also provides teaching and training on pastoral and mental health issues for churches and conferences. He leads the Certificate Course in Belfast. 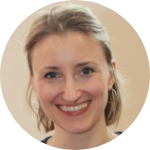 Joanna Jackson is a chartered Counselling Psychologist and works as the Director of Counselling at the All Souls Counselling Service in London. Joanna has also trained in Bible teaching and Biblical counselling. Her doctoral research focused on the ethical issues associated with integrating psychology and spirituality. Louise MacMillan is involved with her husband in church planting in Edinburgh. 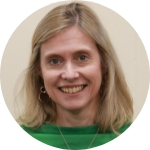 She has completed all three CCEF certificates and works as a biblical counsellor in Edinburgh serving churches in the East of Scotland Gospel Partnership. 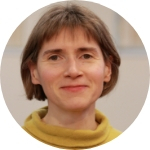 Louise co-leads the Certificate Course in Edinburgh and teaches at Edinburgh Theological Seminary. Andrew Nicholls was a doctor before working with UCCF in student ministry. 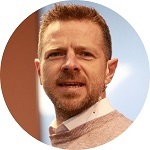 After training at the Cornhill Training Course and Oak Hill College, he was involved in church planting in Kingston upon Thames and worked as a pastor at Dundonald Church in Raynes Park, London, where he had responsibility for biblical counselling. After 15 years of church-based ministry, in September 2018 Andrew became Director of Pastoral Care at Oak Hill College where he teaches biblical counselling and leads the provision of pastoral care for students and their families. Sydnie Jordan is the Senior Administrator of Biblical Counselling UK. Sydnie has completed CCEF’s certificate programme in biblical counselling and studied on the Cornhill Training Course and is involved in pastoral care in her local church.